One of the most exciting things about organising open air cinema is the little window of time in January and February when all the dates are falling into place and you’re discovering new venues and thinking about which films will work the best in those locations. We’re very lucky to already work in some stunning and unique locations, and we’ve got more coming on board for 2019. All will be revealed in the coming weeks. At the moment, we’re in the office watching film trailers, reading reviews (we don’t always pay much attention to these though – The Greatest Showman, anyone? ), looking at box office sales figures and trying to think as our audiences do from one venue to the next, as well as listening to recommendations from our customers. So, on this basis we’re currently very excited about Bohemian Rhapsody (from the moment we saw that movie at the Multiplex we knew it would work brilliantly outdoors), A Star Is Born and Mamma Mia: Here We Go Again, but there’s also a lot of excitement around the likes of Stan & Ollie, The Favourite, Mary Poppins Returns and Mary Queen of Scots. And let’s not write off The Greatest Showman just yet – there’s lots of love in that particular circus still! Similarly though there are classics we love, just itching to be screened. The Harry Potter films, Grease, Pretty Woman, Labyrinth, Top Gun, Hot Fuzz, plus anniversaries due for the likes of The Italian Job, Alien, The Shawshank Redemption, The Blair Witch Project and Monty Python’s Life of Brian. It’s all starting to fall into place and we’ll be announcing screenings throughout January and February. 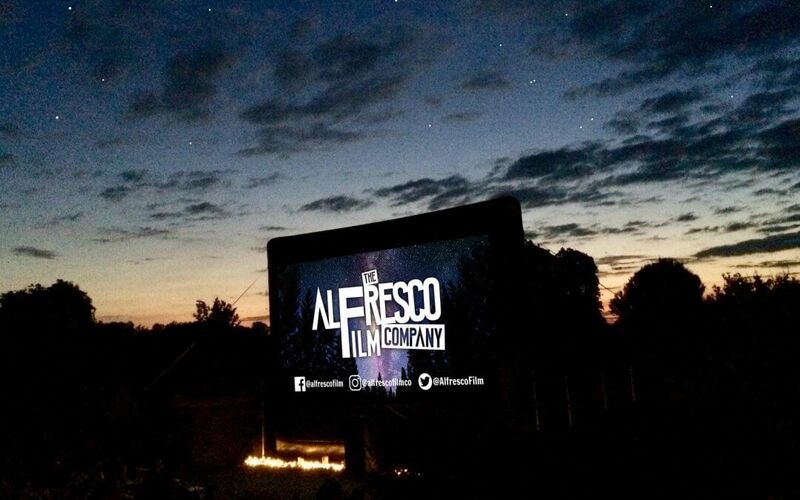 If there’s something you really want to see at a venue you’ve visited with us before, or you’ve got a great idea for a film/venue combo that you think just has to be done, drop us a line at info@alfrescofilm.co.uk – we love hearing from our friendly customers. Here’s to a great 2019 – we can’t wait to entertain you!